“I am so glad I engaged Genevieve and resolution 123, when my company proposed to make me redundant whilst on a sabbatical. I was travelling overseas and felt very vulnerable, pressured and bullied by my employer as they wanted to act very quickly and always insisting on very quick responses. Genevieve was fabulous, and guided and reassured me through the process. With her on my side, I felt a lot more confident in confronting and negotiating with my employers for a much better outcome and could move on with my head held high." "I'm really happy with the service provided by Genevieve she is really efficient and responded to all of my queries immediately. I really appreciate her efforts and professionalism in resolving the issue." "I had a difficult employment dispute and Resolution123 were able to guide me on what my legal rights were. Throughout the entire process I felt supported with clear direction and advise which took a lot of the stress out of the situation for me. At the beginning of the process they clearly indicated the fixed cost structure which allowed me to decide whether I could pursue this. I wouldn't hesitate in using Resolution123 again and would highly recommend them to others." "Genevieve and the team at Resolution123 were instrumental in resolving my unfair dismissal case. Genevieve was supportive throughout the process, and was only ever a phone call away when I needed to chat through what was happening. She did a great job of explaining my options as the case progressed and, as a layman, I appreciated the level of detail given. I recommend Genevieve and Resolution123 unreservedly and have already shared their details with a former colleague in need of legal advice." Why Resolution123? Because we are on your side! We created Resolution123 for you, because you deserve quick, simple and affordable employment law advice. We help you negotiate your employment contract, bargain for better wages and conditions, negotiate flexible work and resolve disputes - including underpayments, workplace bullying, harassment, discrimination, sham contracting, redundancy, unfair dismissal and general protections breaches. We believe in enforcing employee rights and are equally concerned with ensuring your professional reputation isn’t affected. Everything we do is focussed on achieving the best outcome for you. We can be as involved as you like – you want us to take the matter over and do the talking? Done! You want to try to resolve it yourself in the first instance, with a little advice and support from us? No problem! Resolution123 is founded by Carly Stebbing. 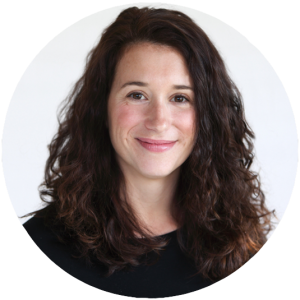 Carly has over a decade of employment law experience working for employer associations, law firms and volunteering at community legal centres. She has the benefit of knowing how employers think and what their lawyers will be advising them, this helps her extract the best outcome possible as quickly as possible. 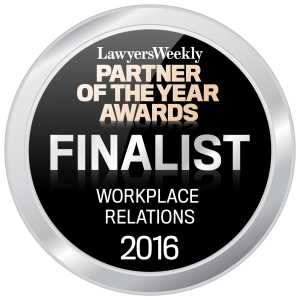 Carly is a Lawyers Weekly Partner of the Year Finalist and a Flexible Work Day Ambassador. Please enter your name and email and we'll keep you updated with the latest news and developments in employment law.